While Apple’s press conferences are normally colloquially named “the iPhone event” or “the iPad event,” reflecting the primary focus of that particular day, yesterday’s affair was a different matter for the bevy of new products that were announced. Simply called the “Special Event,” the iPhone 6s was undoubtedly the most anticipated unveiling of the night, but even Apple’s golden goose had to vie for attention with the new iPad Pro and a revamped Apple TV, among others. Below, we recap all of the new products that took center stage. Par for the course with Apple’s regular update cycle, the iPhone 6s was unsurprisingly no different on the exterior from its immediate predecessor, apart from what will certainly be a bestseller, the rose gold edition. 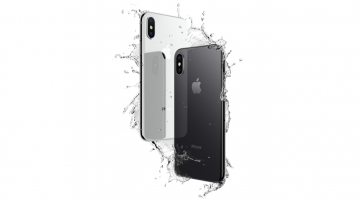 The phone’s construction, however, uses the new 7000 Series aluminum alloy — no doubt to prevent another Bendgate incident as with the iPhone 6 — and the glass screen uses the Ion-X glass as found on the Apple Watch Sport. On the inside, the specs of the 6s saw a slight upgrade, with a new 64-bit A9 chip that is claimed to deliver 70% faster CPU performance, a Touch ID 2 component, and a new Taptic Engine that gives immediate taptic feedback. A new 12MP rear iSight camera capable of 4K video recording also finds its way into the 6s, and a 5MP front-facing camera for selfies (compared to the 1.2MP front-facing and 8MP rear cameras on the iPhone 6). For all this, the 6s commands a price of $650 USD, $100 USD more expensive than the 6; likewise with the 6s Plus and the 6 Plus at $750 and $650 USD respectively. Not so much a product as an innovative UX feature, the long-rumored Force Touch emerges as 3D Touch in the iPhone 6s and 6s Plus. In response to Google Now’s recently acquired contextual capabilities, 3D Touch allows the user to press hard on the screen to pop out a menu for an app. In other instances, a hard press will let the user “peek” into an app — previewing an email, glancing at one’s current location in Maps, quickly scanning a text message conversation — while continuing to hold down will take the user into the actual app. A perfect functionality for this generation’s microscopic attention span, 3D Touch is already being incorporated into third party apps such as WeChat, Instagram and Facebook. What to do when critics are decrying the death of the tablet from the mountaintops? Drown them out with the biggest iPad to ever release, of course. With the 12.9-inch iPad Pro, Apple is targeting the demographic currently buying into Wacom’s digital graphics tablets — illustrators, graphic designers and the like who need a crystal clear, 5.6 million-pixels Retina screen with enough real estate to create graphics at the professional level. Powered by the A9X chip, Apple claims that the iPad Pro runs 1.8x faster than the iPad Air 2′s A8X chip, as well as being faster than 90% of portable PCs. Clocking in at 10 hours of battery life, the iPad Pro also comes with four speakers that readjust themselves depending on which way you hold the device. The price is professional grade as well, with the 32GB base model starting at $799 USD going all the way up to $1079 USD for the 64GB LTE version. In defiance of Steve Jobs’ dismissal of styluses at the 2007 reveal of the original iPhone, Apple debuts its first ever stylus for use with the iPad Pro. Designed for precision sketching, the $99 USD Apple Pencil allows for all the versatility of a real drawing tool, accounting for force and angle with a tip packed with pressure and tilt sensors, as well as the ability to be used in conjunction with your own fingers. The Pencil can go 12 hours on a single charge, and carries a Lightning charger at one end to plug into your iPad Pro. Apple plays catch-up with Microsoft in this instance, taking the tablet cover/keyboard hybrid that comes with the Surface tablet and appropriating it for the iPad Pro. 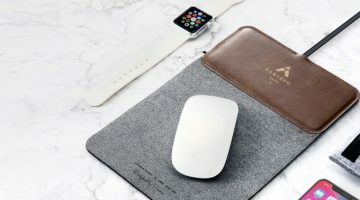 Docking with the iPad Pro via magnetic connects, the $169 USD Smart Keyboard features a woven fabric covering and measures at only 4mm in thickness. Folding up to support the iPad Pro, the combination of tablet and keyboard turns the coupling into a fully-fledged portable powerhouse, while forgoing the hassle of a separate wireless keyboard. While it received nowhere near the attention of the iPad Pro, the iPad mini underwent a quiet, but much needed upgrade in the form of the 7.9-inch iPad mini 4. Coming in at $399 USD, the iPad mini 4 runs on a 64-bit A8 chip, making its CPU and graphics processing 30% and 60% faster than its predecessor. Its cameras have also been improved, now boasting a 1.2MP front-facing FaceTime camera capable of 720p HD video recording and a 8MP rear iSight camera. To be made available in silver, gold and space grey, the iPad mini 4 starts at $399 USD for the base 16GB Wi-Fi model, and goes up to $729 USD for a 128GB cellular data model. Hailed by Apple as “the future of television,” Apple TV is overhauled with an entirely new operating system called tvOS, complete with a Universal Search function incorporating iTunes, Netflix and Hulu, as well as deep Siri integration. Music fans will be happy to hear that an Apple Music app will finally be making its way to the Apple TV as well. Gaming will also be possible with the new Apple TV, with the ability to play titles such as Guitar Hero and Disney Infinity. As for internals, a 64-bit A8 chip powers the Bluetooth 4.0-enabled device. A redesigned remote features a dedicated button for Siri, and a Glass Touch swipepad for easy navigation. Available in 32GB for $149 USD, or 64GB for $199 USD. Last but not least, the Apple Watch is far from neglected less than half a year after its release, with the announcement of watchOS 2 to be released on September 16, alongside a number of debuting apps such as Facebook Messenger and GoPro. Externally, the Apple Watch Sport receives several new pastel-colored bands and a special red band in collaboration with Product Red. More notably, Hermès has collaborated with Apple to produce three custom brown leather straps inspired by its equestrian leather products, including a double-wrap wrist band as seen above. The prices match the name attached to the leather bands, which start at $1,100 USD.